The massive zucchini rush (too bad it’s not a gold rush, right?!) has slowed down in the garden, but I’m still picking at least one every couple of days. That’s more than enough zucchini to eat and still have some left for baking experiments! 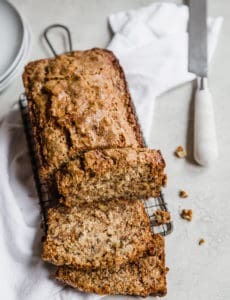 I’ve done my fair share of zucchini bread, from a traditional version, to my grandma’s recipe with pineapple, walnuts and dates, and even zucchini cornbread. 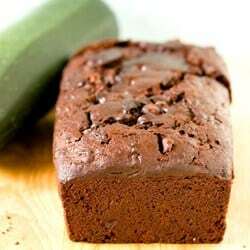 While I have seen tons of recipes for zucchini bread fused with chocolate, I just couldn’t wrap my head around it. 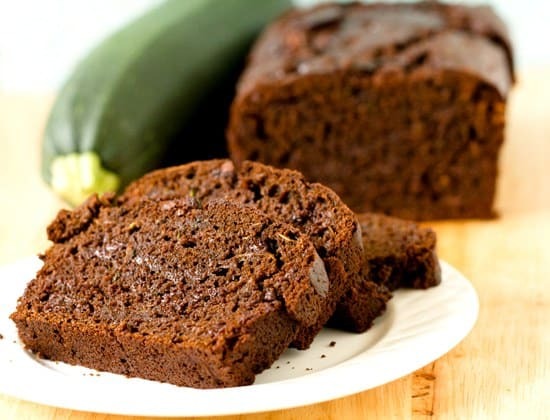 Believe it or not, given my disdain for most vegetables, I actually like zucchini bread… And we all know I positively love chocolate, but for some reason I just couldn’t envision these two worlds mashing together in a positive way. It’s a good thing I got desperate with the zucchini that was sitting around and wanted to try a new recipe, or else I wouldn’t have finally given in to the chocolate and zucchini marriage. I definitely went into this recipe skeptical and was proven way wrong on all accounts. This bread is utterly amazing – it’s rich, sweet, moist and oozing with chocolate flavor. I am a skeptic no more. Bring on the chocolate zucchini goodness! 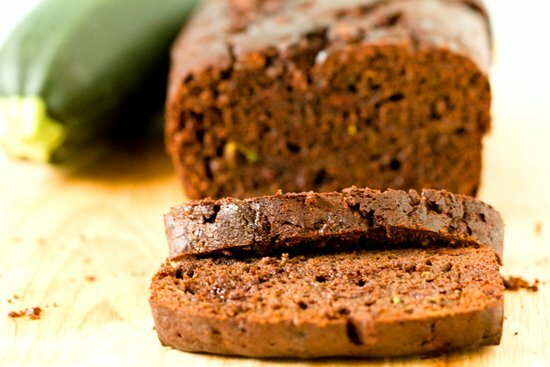 I had been poking around for a chocolate zucchini bread recipe for awhile before stumbling across this one. My mom said she remembered my grandma making some chocolate zucchini loaves on a few occasions, but we couldn’t find an actual recipe. I found a few others online that didn’t look quite chocolate-y enough for my very high-maintenance (read: like a 5-year-old’s) taste buds, and then last week this beauty popped up in my Google reader. I always love to see what the folks over at King Arthur Flour are baking up since they’re my favorite stop for ingredients and baking tools, and they knocked it out of the park with this bread. 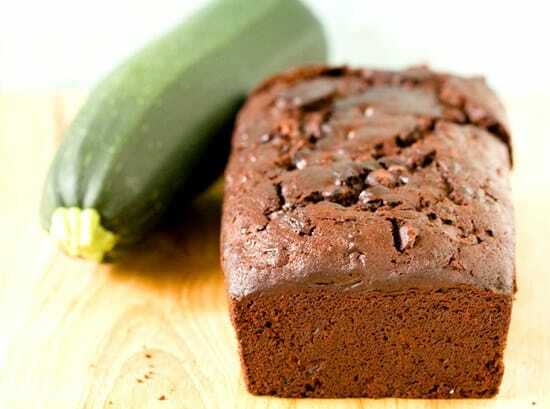 The chocolate flavor is deep and rich, the bread stays moist thanks to the zucchini, and the chocolate chips give it an extra oomph of chocolate flavor and really add to the texture. Almost everyone who tasted this agreed that it tasted like an incredible piece of chocolate cake. We even sliced some for dessert and topped it with vanilla ice cream! You could also go the route of my Double-Chocolate Loaf with Peanut Butter Cream Cheese Spread and eat it for breakfast. Both are perfectly acceptable serving options in my book! Preheat oven to 350 degrees F. Grease and flour an 8x4-inch loaf pan; set aside. In a medium bowl, whisk together the flour, cocoa powder, salt, baking powder and baking soda; set aside. In a large bowl, whisk together the eggs, vegetable oil, brown sugar, honey and vanilla extract. Add the flour mixture to the wet ingredients and use a rubber spatula to gently fold the batter together until almost no flour remains. Stir in the zucchini and chocolate chips, ensuring they are evenly distributed. 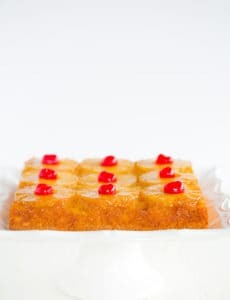 Pour the batter into the prepared loaf pan and bake for 65 to 75 minutes, or until a toothpick (or thin knife) inserted into the center comes out with just a few moist crumbs attached. Allow to cool in the pan for 15 minutes, then turn out onto a cooling rack to cool completely before slicing. Store leftovers at room temperature, tightly wrapped in plastic wrap. Hello, what can I substitute for the honey? Hi Juli, You could use Lyle’s golden syrup. I made this!! It was 20 minutes from being done, it was 2:00 in the morning, and i looked at the counter to see- to my frustration- an untouched bottle of sunflower oul.in exasperation i turned off the oven and went to bed, leaving the bread in. I whispered to my husband ‘the bread is ruined’. But i woke up the next morning to find him happily eating a slice! Not bad!! In fact pretty darn good! I made another today with the oil to compare… Update to come! This looks really good. I will defininately have to make this. I love the combination of zucchini and chocolate. My mother always makes zucchini chocolate chip cookies that are to die for! Would love to try this recipe! But howmany zucchinis aprroximately do we need to make 2 cups? Hi Livia, It really depends on how large the zucchini is. One large zucchini could yield you 2 cups, but it just depends on the size. I tried this recipe yesterday, kinda late I know but the result (according to my friends and family) was great but I thought that I missed something especially after looking at your photos again. Your recipes are really helping me improve my baking skills….thank you all the way from Kenya. This was fabulous!! I doubled the recipe cuz I got lots o zucchini. We only put in half of the chocolate chips and it was still fabu! Thanks so much! I’ve made this porbably 4 times this summer!! LOVE. Hi Rachael, You could use applesauce (I would use unsweetened) in place of the vegetable oil in this recipe. Made this and it was a huge hit! So chocolatey! I made this bread last night and I didn ‘t tell anyone it had zucchini in it until after they had tried it and even my 7 year old son said “Mom this Bukinni is so yummy!” The adults were all very surprised and asked for seconds. I will be using this recipe again I’m sure! While I wouldn’t exactly call this bread, HAHA! 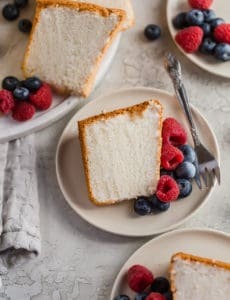 More like cake, I made today, I had to slice it into 12 slices so I can justify the calories. HAHA! Phenomenal taste. 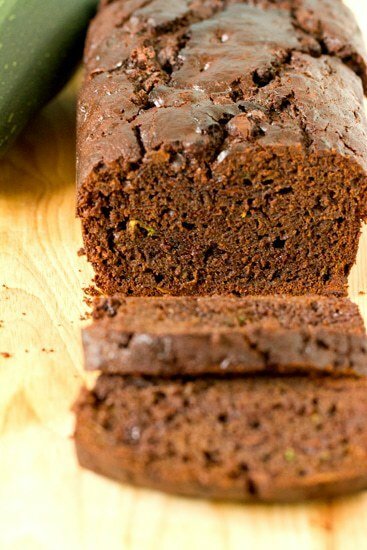 Who knew chocolate and zucchini would mix? I usually send my baked goods off to work with my wife so (I don’t sit home all day and eat!) but this bread I had to save for myself. Luckily it freezes well! I have been stalking your site and bookmarking recipes to make whenever I have time. I baked this bread and it’s so good. It got a thumbs up from all family members — including two three year olds! Love it – not too sweet and just the right amount of ‘chocolateyness’ !! Thanks so much for all of your recipes! But this one looks like I could pass it off at breakfast on the weekend – whoo-hoo! Made this to bring to my parents on the farm this weekend. SOOOO good. I’ve been paring down on my feeds lately, and yours is one of the few blogs I kept on my list. All the recipes are very good and this bread is to die for. I started making it at 9 pm (Europe) thinking of having it for breakfast. It’s past midnight now and all there’s left is one slice – and it’s mine, mwahahaha! I made a loaf this morning, it’s so good!! Between the garden and our CSA, I am still up to my ears with zucchini. I was just thinking I wanted to try some new zucchini bread recipes, and this one certainly sounds like a winner. Yum!